Wisconsin Drug Testing Consortium (WDTC) offers driver supervisor training courses that fulfill regulations covering reasonable suspicion that a driver is using or under the influence of drugs or alcohol. DOT supervisor training is required for most supervisors of commercial motor vehicle drivers who are required to carry a commercial driver’s license (CDL). Driver supervisor training includes 60 minutes of training on the symptoms of controlled substances and 60 minutes on the symptoms of alcohol abuse. Reasonable suspicion supports the referral of an employee for testing. DOT supervisor training is required for operators who are required to hold a CDL and have more than one employee in their company. 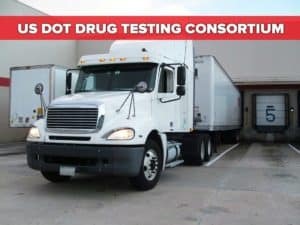 Owner-operators are not subject to the driver supervisor training requirement, but must register with a consortium such as WDTC for DOT drug and alcohol testing. WDTC also is a Certified Third Party Administrator (C-TPA) for DOT physicals. The Federal Motor Carrier Safety Administration (FMCSA) website provides guidance that pertains to determining if you or others in your organization are required to take driver supervisor training. Individuals who have previously taken DOT supervisor training at their current job are not required to retake the training. Companies who lose their trained supervisor must have their new supervisor complete the required driver supervisor training. Owner-operators who have enrolled in a DOT Drug and Alcohol program are not required to completed DOT supervisor training. WDTC assists companies with a variety of regulatory requirements, including DOT mock audit training, driver supervisor training and DOT supervisor training as part of the preparation process. Wisconsin Drug Testing Consortium is an accredited, Certified Third Party Administrator (C-TPA), and specializes in Consortium Management; a variety of drug testing methods, including urine, hair and fingernails; post-accident testing; pre-employment drug tests; criminal background checks; supervisor training programs to keep employees compliant with DOT regulations; pre-employment DOT physicals; and paternity DNA testing. Headquartered in Green Bay, WDTC also has offices in Appleton, Fond du Lac and Madison, Wisconsin. 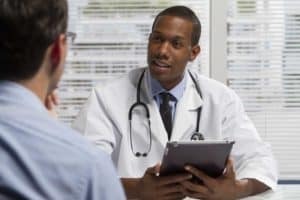 Call 888-784-8842 or visit www.widrugtesting.com for more information.